We’ve just entered a couple of songs in the MusicOz Australian Independent Music Awards and you can vote for us to have a crack at the People’s Choice Award. You could win one of 5 double tickets to the Musicoz Australian Independent Music Awards at the Event Centre – The Star (in Sydney) on Thursday, 7th November 2013 (but be aware you have to get yourself there and organise somewhere to stay). You can vote for us once a day – every day – until voting closes (the day before the award ceremony so I guess that’s Wednesday, 6th November 2013). And you can vote for more than 1 artist each day as well. 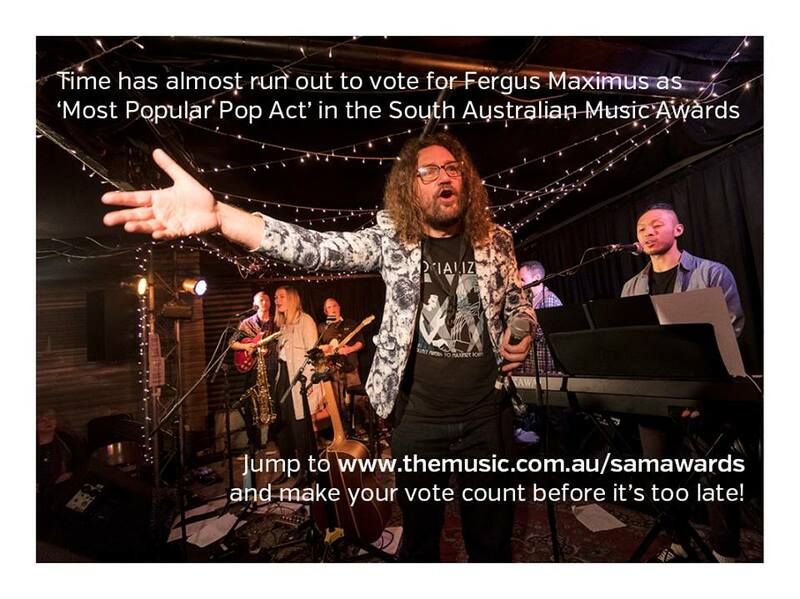 We’d love it if you’d choose Fergus Maximus!